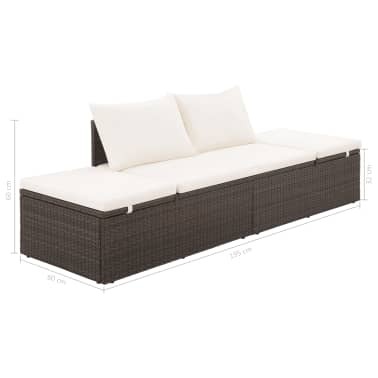 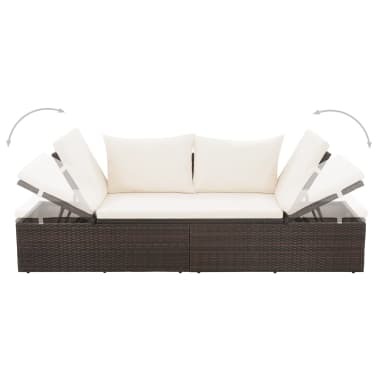 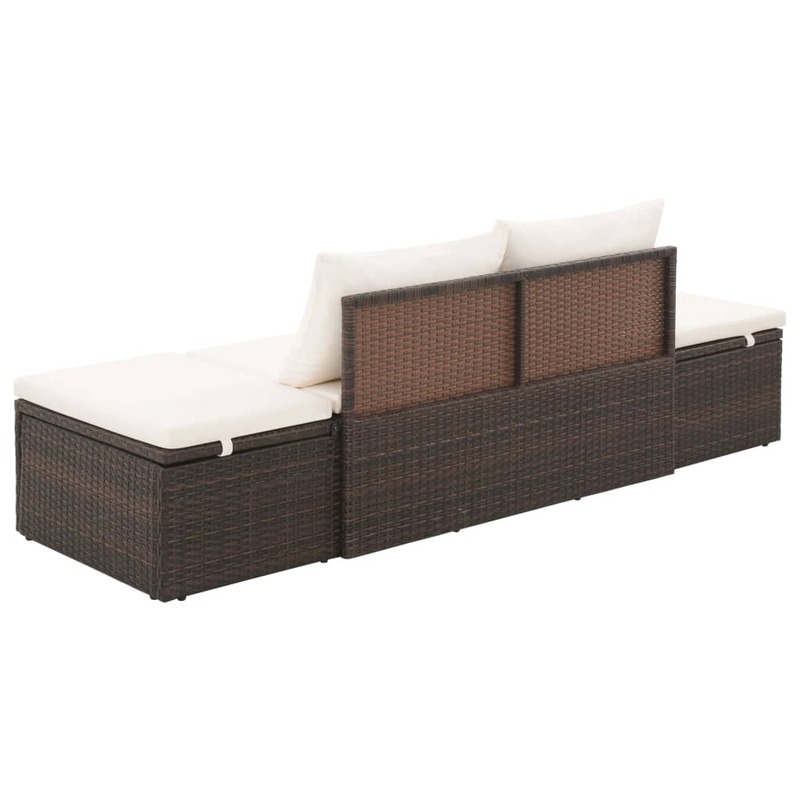 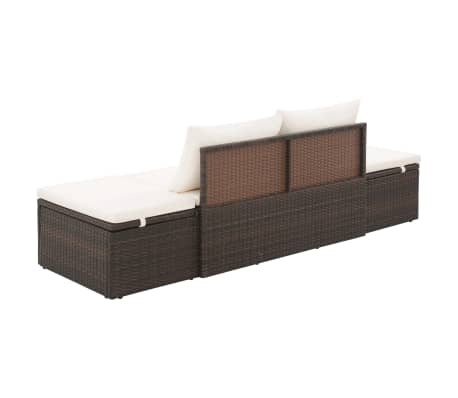 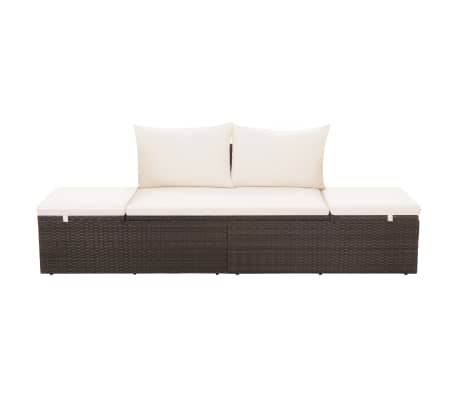 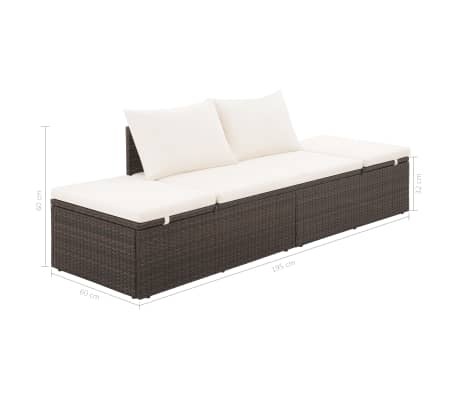 Seat height from the ground without cushion: 12.6"
This comfortable poly rattan lounge bed is a perfect combination of style and functionality. 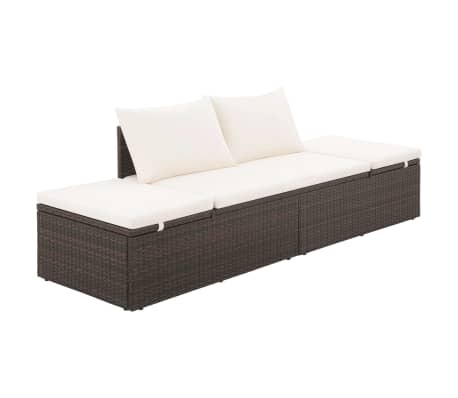 Our sun bed is made of PE rattan, which is lightweight, water-resistant, easy to clean and designed to be used outdoors for year round. 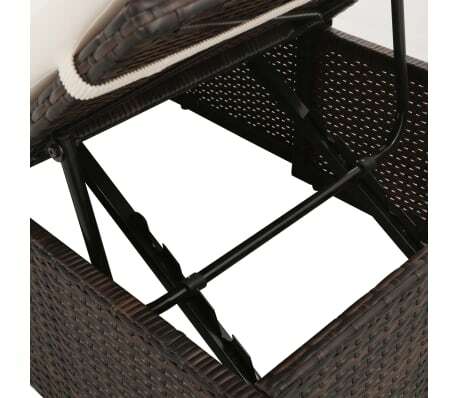 The powder-coated steel frame also brings stability and ensures its excellent durability. 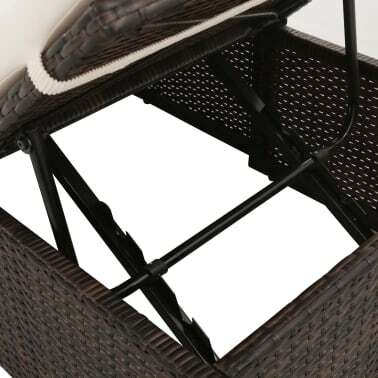 Both sides of the bed can be pulled up and adjusted in different settings for the most comfortable seating or lying position. 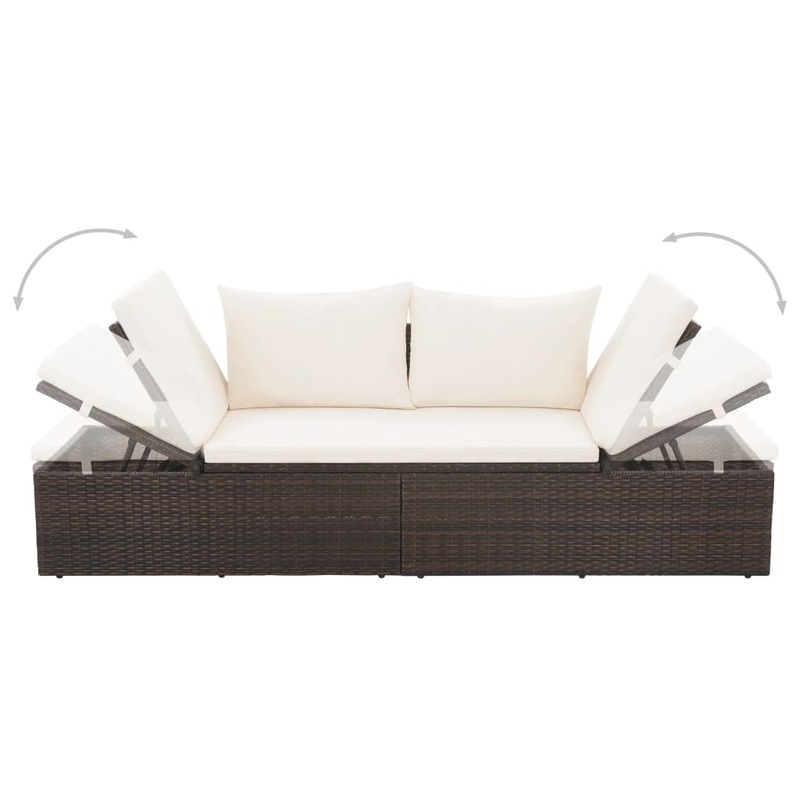 The thickly-padded, removable cushion and pillows with foam filling will provide the ultimate comfort. 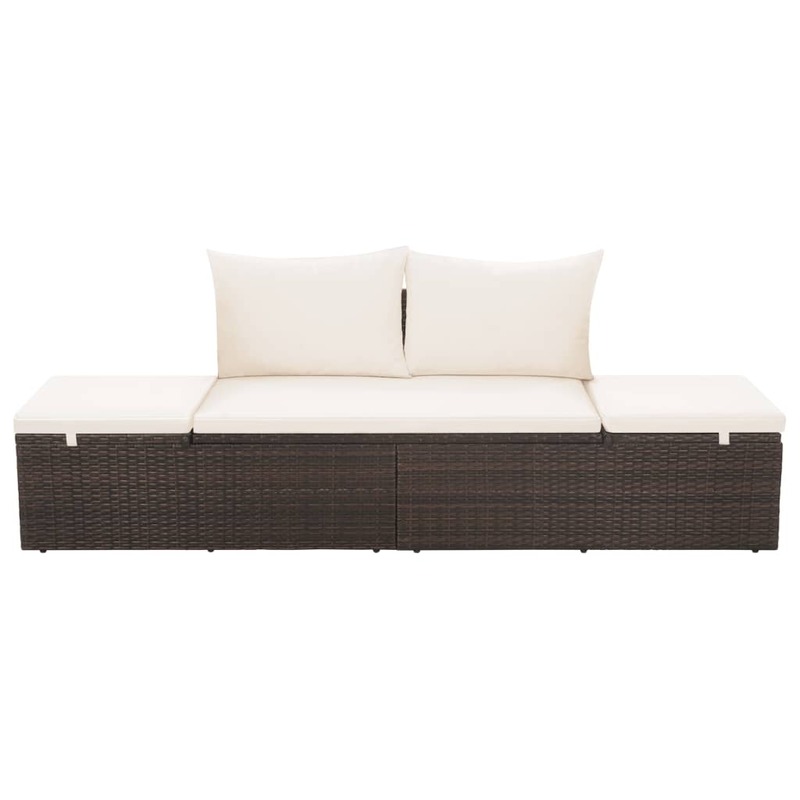 The low-maintenance polyester cushion cover can be easily removed and washed. 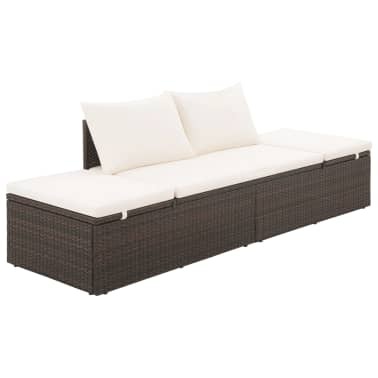 The lounge bed is easy to assemble. Delivery includes 1 lounge bed, 1 large seat cushion and 2 back pillows. 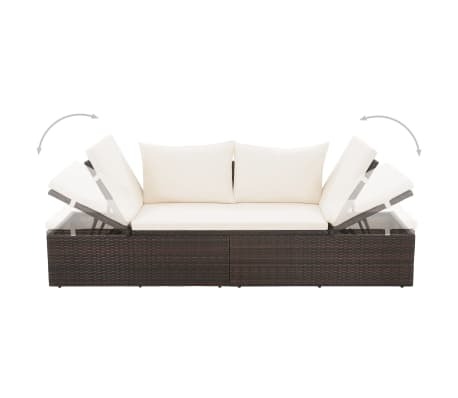 Note: We recommend covering the furniture set in the rain, snow or frost.